The Human Genome Project: Exploring Our Molecular Selves: This page allows you to download all of the component parts that make up the award winning educational CD for The Human Genome Project. Species: Comparing their Genome: The Action Bioscience journal article illustrates how mapping the genome of different species reveals that: all living things share parallel genes, the genome of other species can be used for human disease research, many diseases are caused by defective genes or proteins, and so far, the mouse offers the best insight into human disease. Using Bioinformatics in the Undergraduate Classroom: From the pages of magazine, the online version of BEN's education column in BioScience provides educators with updates in science education, examples of successful initiatives to transform biology teaching, and new ways of improving student understanding. 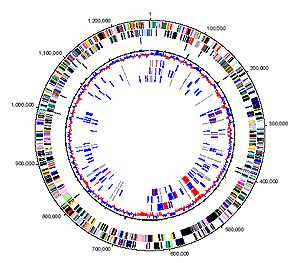 For more information about Bioinformatics, search the Microbial Life collection.